"I've got seven days to come clean to my new dad. 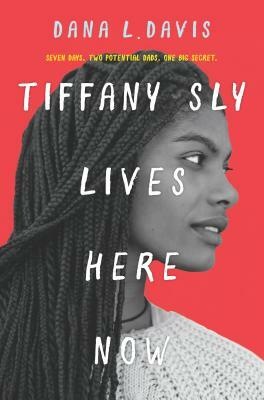 Seven days to tell the truth..."For sixteen-year-old Tiffany Sly, life hasn't been safe or normal for a while. Losing her mom to cancer has her a little bit traumatized and now she has to leave her hometown of Chicago to live with the biological dad she's never known.Anthony Stone is a rich man with four other daughters--and rules for every second of the day. Tiffany tries to make the best of things, but she doesn't fit into her new luxurious, but super-strict, home--or get along with her standoffish sister London. The only thing that makes her new life even remotely bearable is the strange boy across the street. Marcus McKinney has had his own experiences with death, and the unexpected friendship that blossoms between them is the only thing that makes her feel grounded.But Tiffany has a secret. Another man claims he's Tiffany's real dad--and she has only seven days before he shows up to demand a paternity test and the truth comes out. With her life about to fall apart all over again, Tiffany finds herself discovering unexpected truths about her father, her mother and herself, and realizing that maybe family is in the bonds you make--and that life means sometimes taking risks.